WorldVPN is a leading VPN service provider having presence all over the world. For those who want to save money on their WorldVPN subscription, we have got some exciting news. Below we have listed some incredible deals that allow you to save as much as 30% on a new WorldVPN subscription. Read on to learn how to make the most of these money saving WorldVPN Promos! 1) Save Over $35 On Unlimited Plan – The unlimited plan is the most comprehensive VPN package available at WorldVPN. 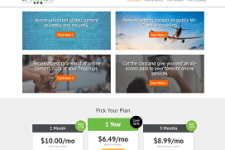 The plan offers unlimited bandwidth for $9.95 a month but now you can subscribe to it by paying $83.95 for a year (saving of $35.45 / 30%, average price $6.99/month), $47.95 for 6 months (saving of $11.75 / 20%, average price $7.99/month) and $26.95 for a quarter (saving of $2.9 / 10%, average price $8.98/month). 2) Save $24+ On Starter Plan – The WorldVPN starter plan offers unlimited speed but the bandwidth is capped at 30 GB per month. The starter plan typically costs $6.95 a month but with this money saving offer, you can get it for $58.95 for a year (saving of $24.45 / 30%, average price $4.91/month), $33.95 for 6 months (saving of $7.75 / 20%, average price $5.65/month) and $18.95 for 3 months (saving of $1.9 / 10%, average price $6.31/month). 3) Save $17+ On Budget Plan – The budget plan is the most affordable VPN plan from WorldVPN that offers 15 GB of monthly bandwidth for $4.95 a month. Customers who are looking to save money on this plan can now subscribe to it for just $41.95 per year (saving of $17.45 / 30%, average price $3.49/month), $23.95 for half a year (saving of $5.75 / 20%, average price $3.99 a month) and $11.95 per quarter (saving of $2.9 / 10%, average price $3.98/month). 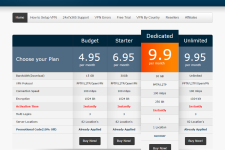 4) Save $36 On Dedicated Plan – For those who need a fixed IP address, WorldVPN offers a dedicated plan for $10 a month. However, now you can avail the same plan by paying $84 for 1 year (saving of $36 / 30%, average price $7/month), $48 for 6 months (saving of $12 / 20%, average price $8/month) and $25 for a quarter (saving of $5 / 10%, average price $8.33/month). There is no need to enter a coupon at checkout since the discounts are automatically applied with our special link. Apart from taking advantage of the above deals, you can also save money by making use of WorldVPN coupons and promos that become available from time to time. In particular, the company is known for its summer and winter special deals that offer up to 20% off on all plans. 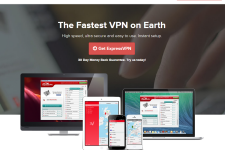 There are no WorldVPN promos running as of now but make sure to check this space from time to time to learn about the latest money saving offers from the company. Why WorldVPN Is Such A Good Privacy Alternative? WorldVPN is an Australia based privacy service that has been around for almost 8 years. Launched in 2006, WorldVPN offers a fast and trustworthy privacy solution in a 100% private environment. 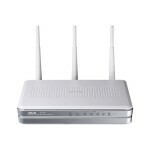 The provider offers a range of shared and dedicated IP plans to cater to the needs of its subscribers. WorldVPN has got VPN servers in 38 countries across 5 different continents. 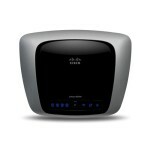 The service offers up to 1024 bit encryption to provide bulletproof privacy and security to its customers. The service enables customers to not only unlock their favorite IP restricted sites but also get rid of surveillance and censorship that are used in many countries and corporate environments. For a more detailed look at WorldVPN, please go through the detailed VPNCoupons’ WorldVPN review. Or visit the official WorldVPN site at: www.worldvpn.net.